Medieval Period Tents for Sale ! 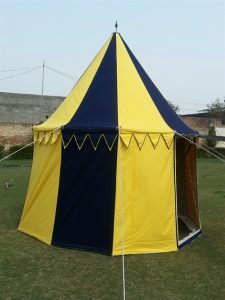 Yes, this is our Medieval period tents Sale time !!! 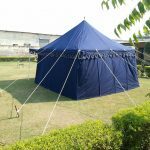 We are offering good discounts and free add on items on the purchase of medieval tents from us at Sangeeta International in India. 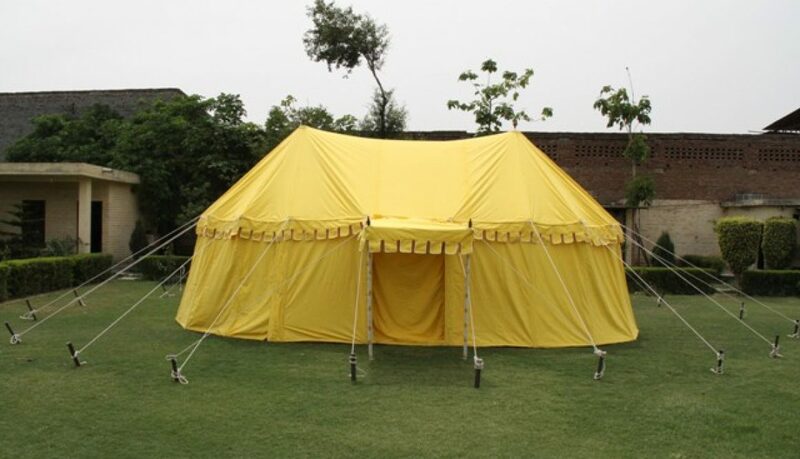 We ship our tents world wide. 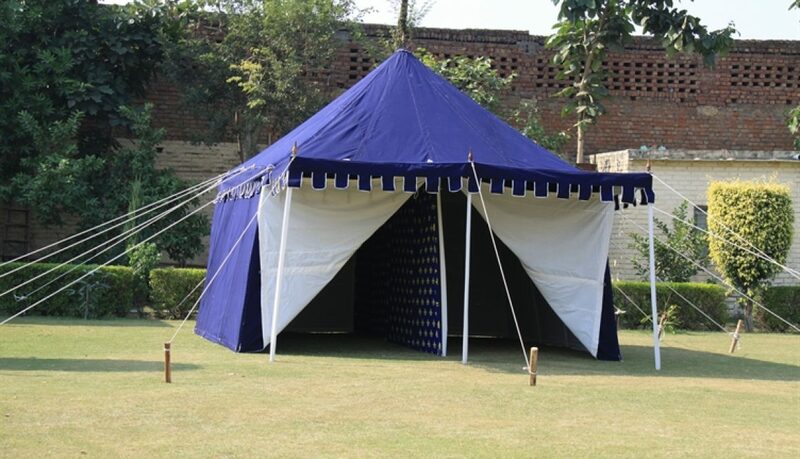 Just drop us an email to know more about our entire range of Medieval tents. 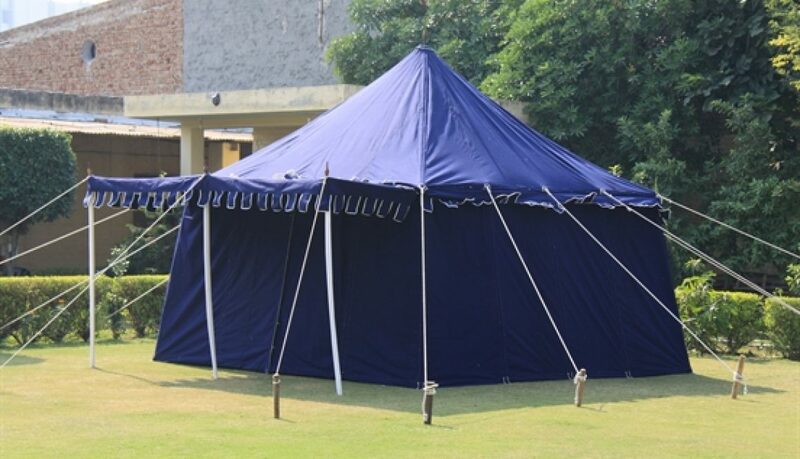 It includes, oval pavilions, round end marquees, regent pavilions, wall tents, medieval round pavilions, trader’s tents, trojan horse tents, personal pavilions and other historic period tents. 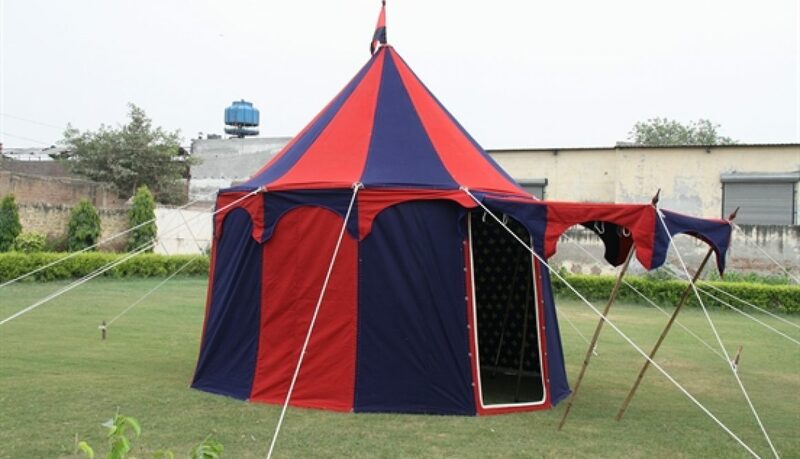 We also make customized designs, size, inner prints according to your requirements in our own tents factory. 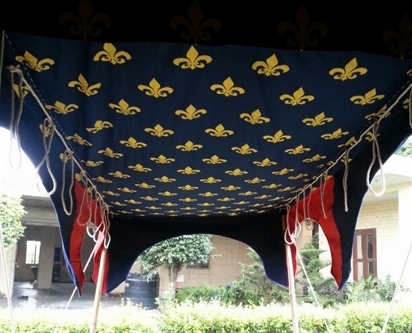 We make the Best Medieval Tents, for Medieval festivals, re-enactment & for collectors. 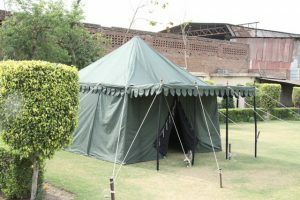 We make period tents for our esteemed buyers in USA, UK, France & Italy. 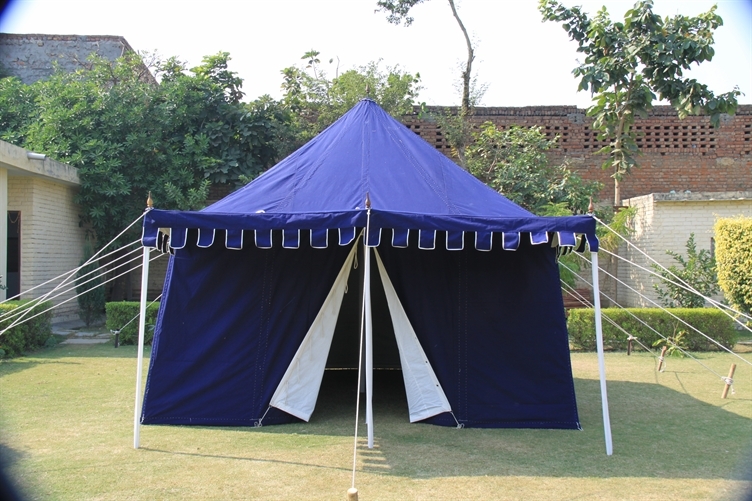 All our historic tents & pavilions are made of water-repellent cotton canvas, with authentic wooden & bamboo accessories. 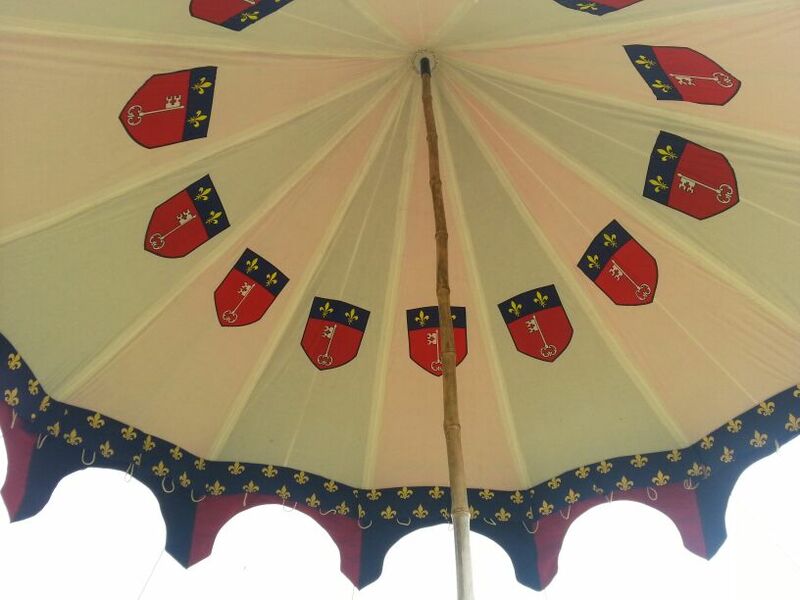 Medieval groups & individuals buy our history tents & pavilions to take part in the medieval festivals. Planning to go to a Medieval Fair or a Renaissance Festival ? 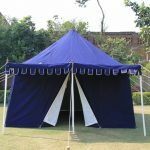 Well, then you must take along an authentic handmade canvas tent for overnight stays at the festival and you will enjoy it more ! 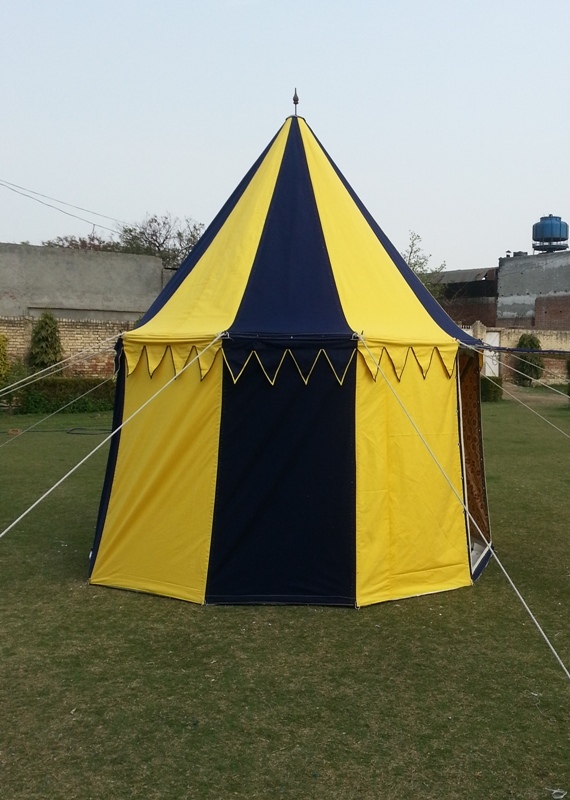 We at Sangeeta International have been designing and developing Medieval tents by studying the middle age paintings and literature very closely and carefully. 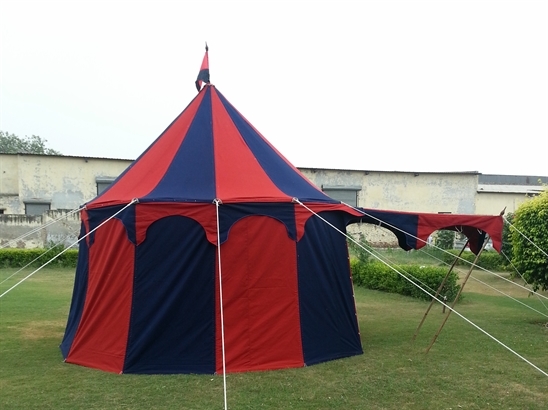 The recent additions to our line of period tents has been from our buyer’s designs, Emma Lewis and Mr. Regis. 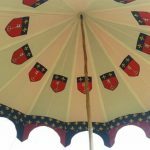 We thank them both for choosing us to develop their Medieval Pavilion designs. Some pictures of the tent interiors are showcased hereunder. 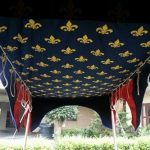 We offer a wide range of color combinations of Medieval Pavilions and Historic Tents, you can pick your colors for 2 or 3 alternate stripes of Red, Blue, Green, Yellow, White & Black Canvas colors. 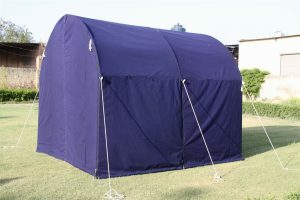 The interior can be printed according to your choice of patterns and colors. 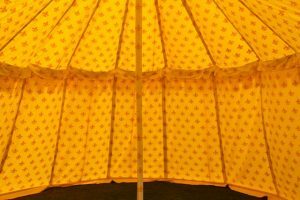 Kindly email us your pattern to check for lead times and costs involved. 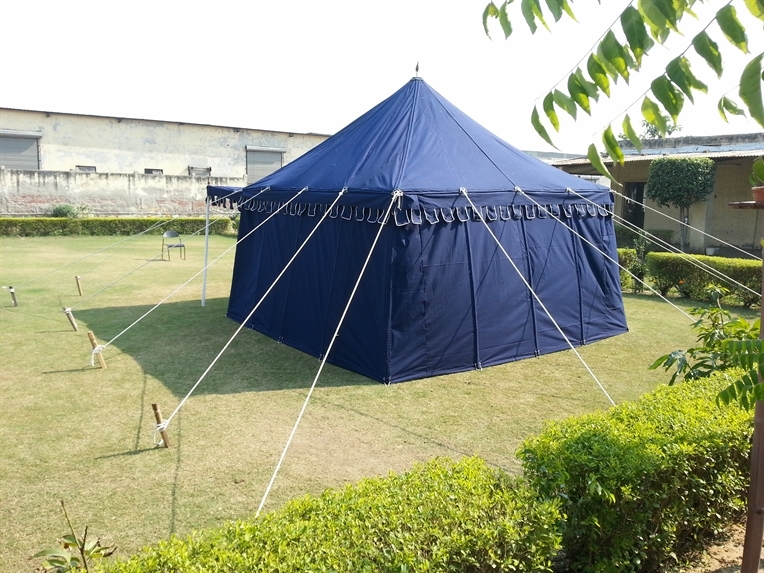 We make authentic Handmade Tents with Hand Quilting on each Past Tent. The wooden pegs and pole tops are hand carved to give a superior finish. 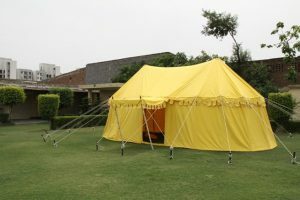 The cotton ropes are hand twisted in the traditional manner. 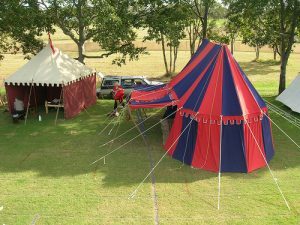 We are the leading manufacturers and exporters of Medieval Tents, Historic Pavilions, Bell Tents, Round End Marquees and Warrior’s Tents.